Who is pregnant, has nothing nice to wear? And with infant clothing may be only practical? By due! 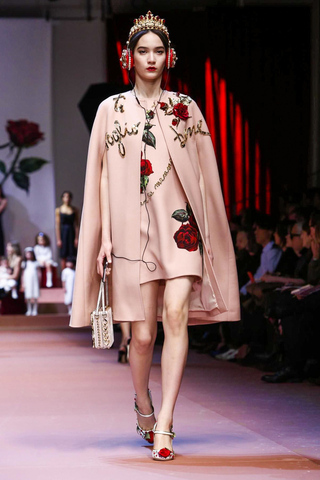 Dolce & Gabbana to celebrate the beauty of all mothers with their new collection. Mother’s day is only in may, but the most important woman in our lives already honors the designer duo Stefano and Domenico Dolce & Gabbana. 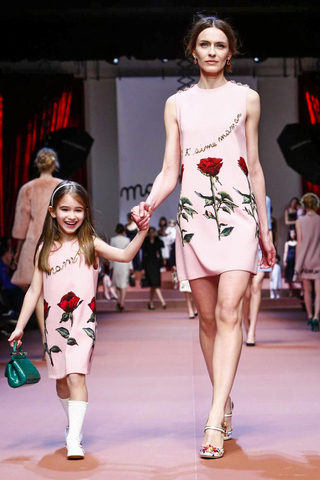 Our previous highlight of Milan fashion week: A catwalk full of mothers, models with babies on the arms and the Pregnant Bianca Balti, who all presented the new collection of the Italian tradition label. The look of the collection? Typically, and as always great. Much lace and silk, floral elements, Brocade fabrics, clothes that flatter the feminine figure and emphasize the curves, jewelry items, small Crown and Alice bands and, as Ode to all mothers – children’s drawings and declarations of love to all moms who found themselves in prints and embroideries. And it was still not clear whom enough: soundtrack of the show was “Mama” by the spice girls. 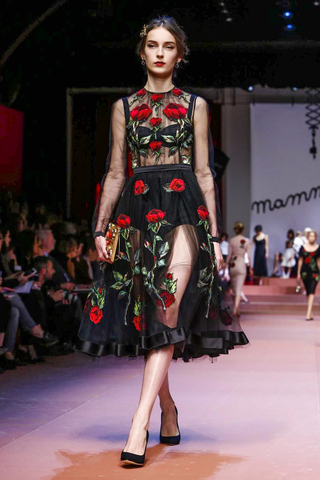 The designer, the families for their “La Famiglia” campaigns before the camera, and fashionable again and again their Italian home quote, show a homage which seems almost overdue with her new collection: A tribute to Mama! Finally, they say: no one loves his mother as intimately as Italian men. Clear that the staging also critical voices sign in the fashion show: it must be babies and toddlers – presented as accessories on the runway? 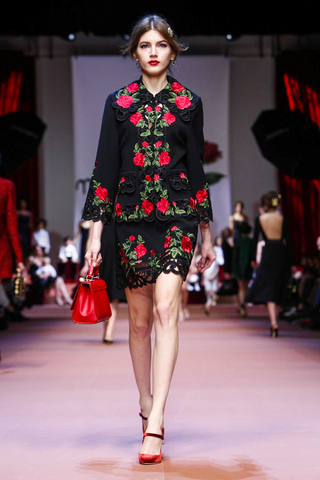 We find: Dolce & Gabbana have implemented delightfully authentic and elegant Italian also their new collection, the clothes are as always sensual, very tender, romantic and suitable for the generation of each woman. 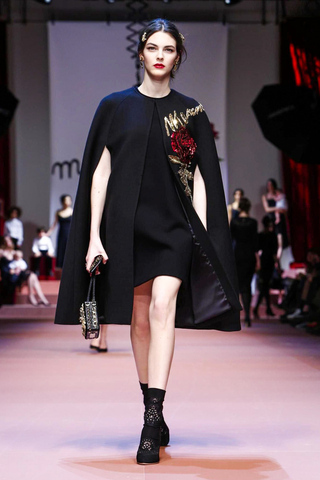 The accompanying show simply underscores the theme of the collection “Viva la Mamma”. Not more and not less.